Maurice Jackson: Welcome to Proven & Probable. I'm your host, Maurice Jackson. Joining us today is Michael Rowley, president and CEO of Group Ten Metals Inc. (PGE:TSX.V; PGEZF:OTCQB), which is known for platinum, palladium, nickel, copper and cobalt in the Stillwater district in Montana. Mr. Rowley, for someone new to the story, who is Group Ten Metals, what is your flagship project, and what is the thesis you are attempting to prove? Michael Rowley: Group Ten is a leading explorer for platinum group metals�these include platinum, palladium and rhodium, along with nickel, copper and cobalt. 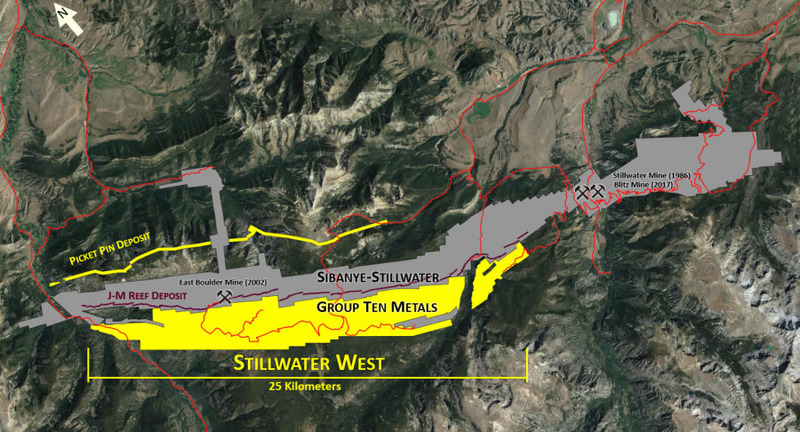 Our flagship project is the Stillwater West project where we have consolidated a very large land position alongside Sibanye-Stillwater's three producing mines in the heart of the Stillwater Igneous Complex in Montana. It's one of the world's premier platinum and palladium producers and is one of the only platinum group metal producing mines outside of South Africa or Russia. Geologically, Stillwater is a large, layered, mineral-rich magmatic system, very similar to the Bushveld complex in South Africa, which hosts over 75% of the world's platinum, as well as enormous quantities of copper, nickel, gold and other metals. The history at Stillwater parallels the developments at the Bushveld Complex in South Africa, so they share more than geology in that regard. Both districts were recognized over 100 years ago for their mineral riches, and both supported a number of mines for varying commodities. 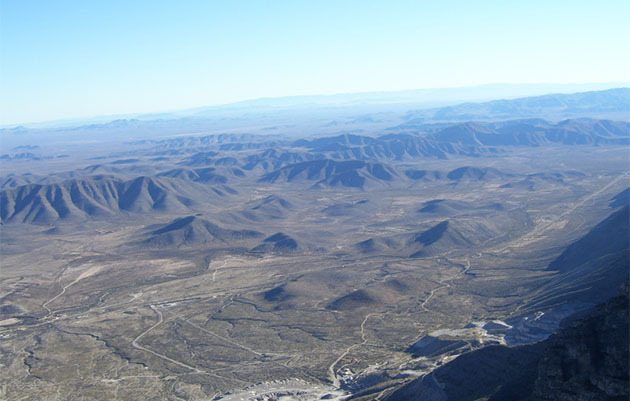 And, in both districts, the discovery of high-grade "reef-type" platinum group metal deposits in the 1970s produced large-scale operations that were the sole focus of exploration efforts until the 1990s when regulatory changes forced a release of mineral rights to other operators. In Montana, these changes were in the form of amended U.S. claim fees, while in South Africa it was the end of apartheid. In South Africa, the resulting exploration efforts lead to the development of Anglo American's Mogalakwena Mines, a giant at over 265 Moz PGMs and a very profitable operation that is the largest open-pit platinum mine in the world. Adjacent to that, Ivanhoe is now building the Platreef mine on the same system with over 112 Moz platinum plus substantial nickel and copper values. Maurice Jackson: Group Ten is exploring for platinum, palladium, nickel, copper and cobalt in a world-class district; compare and contrast how your deposits compare to similar districts like South Africa's Bushveld, and also your neighbors in Montana at Sibanye-Stillwater. At Bushveld, two basic types of mines have been developed for these two deposit types: narrow high-grade PGM mines on two reef-type deposits, and more recently bulk mining operations in the Platreef district such as Anglo's Mogalakwena mines and Ivanhoe's underground mechanized operation. Maurice Jackson: Mr. Rowley, we've covered some good background on the Stillwater West Project, walk us through the project. Michael Rowley: Let's begin with some of our claim holdings in the Stillwater district and some of the existing resources and operations there. As you can see on the Regional Claims Map, Group Ten's Stillwater West land position, shown in yellow and orange, is a large 25-km-long claim block located directly adjacent to Sibanye's three operating Stillwater mines (shown in grey). Proximity to the existing mines provides access to infrastructure such as roads from the west and from the northeast. Michael Rowley: This is a layered magmatic system, and layering is visible in the geologic map of the Stillwater Complex, as it shows the J-M reef deposit�this is the world's highest-grade major PGE deposit at 16 g/t, and, at 80 Moz, the largest outside of South Africa and Russia. Note that the main part of the property is over 20 km long, and that these individual targets are 3 to 6 kilometers in length each, large enough individually to contain a deposit the size of Ivanhoe's or Anglo American's Platreef deposits! Michael Rowley: In addition to the geophysics, we have identified very high levels of metals in soils covering an 18-kilometer-long area with high levels of platinum, palladium, nickel and copper. These elevated metals in soils correlate well with the geophysical targets and the shape of the underlying geology. 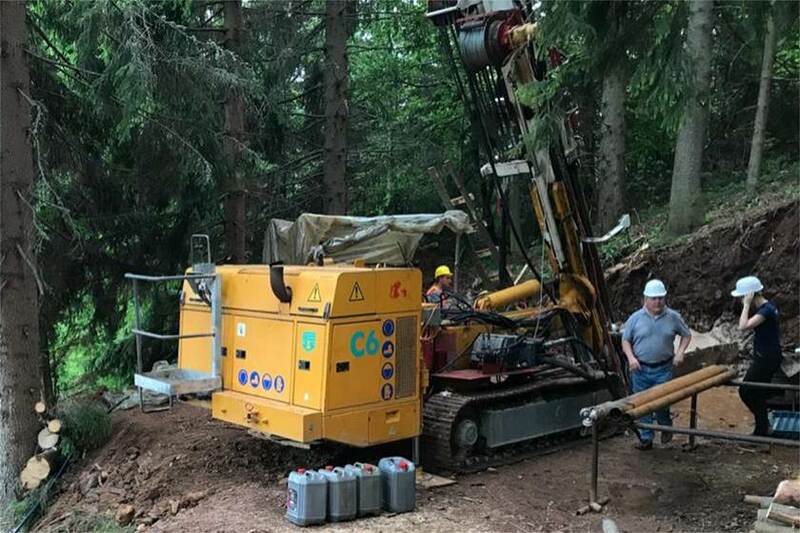 Group Ten's work in 2018 was the first property-wide effort to target large-scale Platreef-type systems in the lower Stillwater Complex and to see this combination of large scale geochemical and geophysical targets is very rare. We have identified two primary target types: the high-grade "reef-type" type deposits that are being currently mined by Sibanye-Stillwater and the Platreef-type that Group Ten is targeting based on evidence in the data, and geologic parallels with the Bushveld in South Africa. Michael Rowley: In terms of mineralization and mineralization type, slide 11 presents and compares reef type and Platreef-type targets. The Reef type deposits are presented in the brown color box and photos, and we've taken the Merensky and the J-M Reef as examples, one from Bushveld and one from Stillwater. Very high grade, very narrow thickness. On the right hand side of the slide are some good pictures showing what it's like to operate in these mines. Merensky happens to be flat lying, and the mines are deep and expensive to operate. It is expected that many of these marginal Merensky mines will close due to their high costs, which should drive platinum prices in the coming years, with continued reduction of supply even as demand for platinum and palladium continue to grow. The lower picture on the right shows mining of the J-M Reef deposits at Stillwater, at a 60 degree angle that's more amenable to mining. The key take-away from this slide is the scale of the Platreef-style deposits shown in the grey box in the lower left of the slide with the picture of Mogalakwena mine. The thicknesses that we see in the mineralization, and the contained metal in these deposits�these are very large and economically attractive bulk mining operations. It's worth noting that Anglo American's Platreef Mogalakwena Mines are the largest and most profitable platinum mines in the world. Ivanhoe's adjoining Platreef Mine is going to be a very high-tech underground bulk mining operation that looks similarly very economically attractive, and that's potential that we see at Stillwater West. Many people don't realize that the majority of exploration dollars spent in the mining industry go to exploration around existing mines because it is one of the best places to make new discoveries and to rapidly be developed and produced using existing infrastructure. 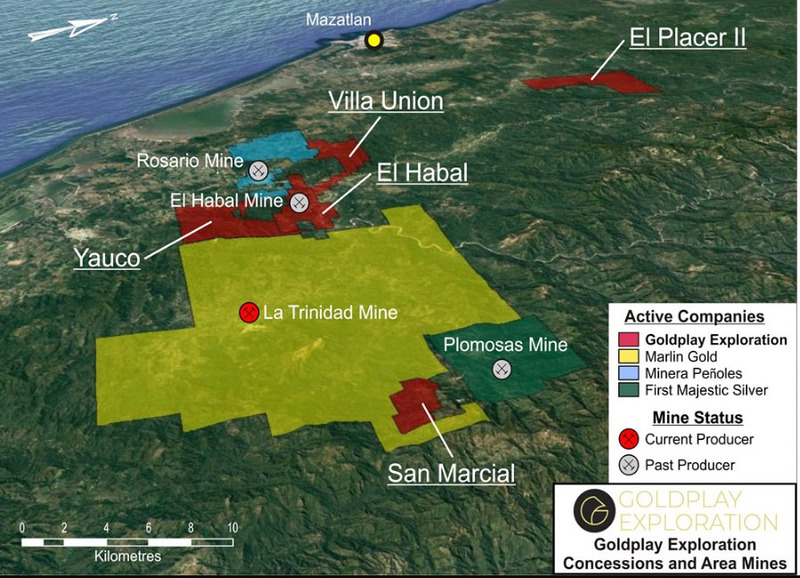 The adage is "the best place to find a mine is right next to an existing one." 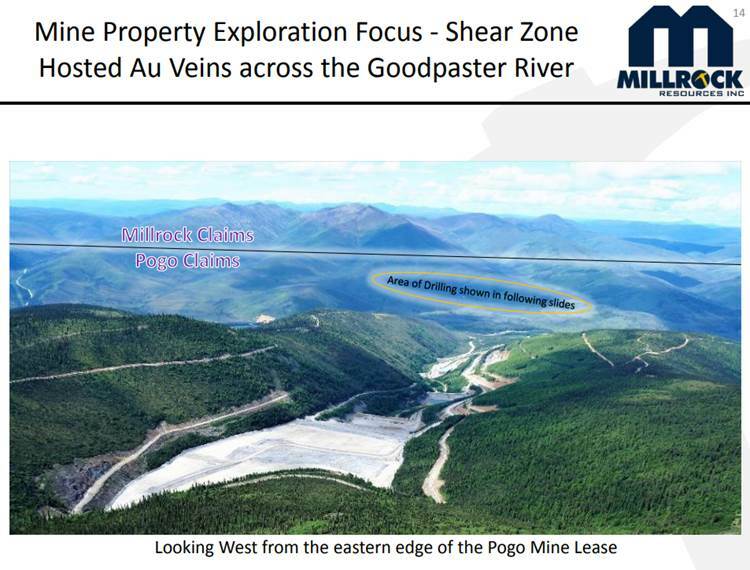 Michael Rowley: Following the Metallic Group model of acquiring quality assets in districts during the low parts of the metals price cycle, Group Ten has another PGE nickel copper project in the Kluane belt of the Yukon. This adjoins Nickel Creek Platinum's Wellgreen project. World-class geology, and excellent potential for scale and grade there. We are seeing good interest in this asset as well but it's at an earlier stage than the Stillwater asset. We also have the Black Lake/Drayton gold project, which adjoins First Mining's Goldlund project and Treasury Metals Goliath project in the Rainy River belt of Ontario. 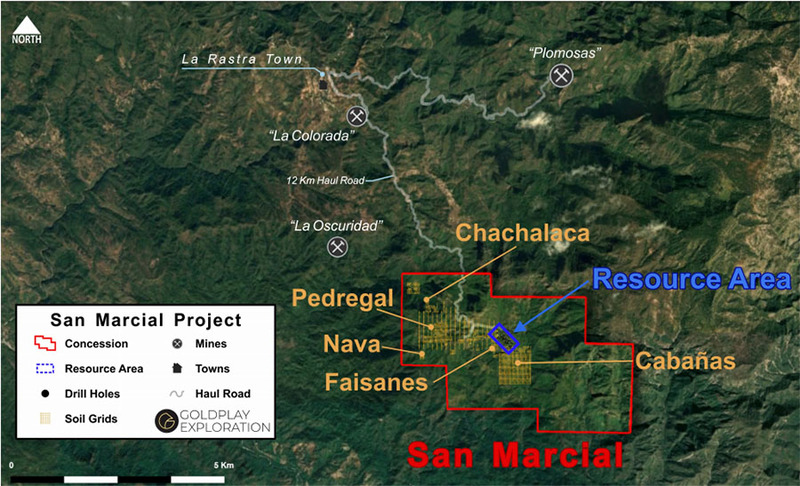 We have several groups looking at this project as it is a 30-kilometer-long belt of productive geology that sits between two multi-million-ounce gold deposits. We've consolidated an impressive land position and database during the bear market and this is a very active exploration district. Maurice Jackson: You are just wrapping up exploration for this season at Stillwater West so when should we expect to see the next results from this year's work? Maurice Jackson: What is management's philosophy, are you looking to build mines or are you focused on exploration? Michael Rowley: We are very much focused on the opportunity to make discoveries and to rapidly advance those to resource definition, as shown on slide 13. This stage can be one of the greatest periods for value creation in mining for investors. It's not uncommon that the value that's created in that initial discovery and resource development phase may not be exceeded again until these projects actually go into production, often times many years later. Maurice Jackson: Switching gears, I've learned from some of the most respected names in the natural resource space�Rick Rule, Doug Casey, Jayant Bhandari, Mickey Fulp, Bob Moriarty�that the people running the business are equally, if not more important, than the latent material in the ground. Mr. Rowley, please introduce us to your board of directors and management team, and what unique skill sets do they bring to Group Ten Metals? Michael Rowley: The quality of the Stillwater asset in particular has enabled us to attract a remarkable team. Dr. Craig Bow, who was part of the original discovery at Stillwater, is back leading the team now. Dr. Dave Broughton, of course of Ivanhoe, awarded for the discovery of the Platreef deposit and other world-class mines for Ivanhoe, just recently joined as senior technical advisor. They both are very excited about the potential here, and are experts in this type of deposit. In addition, we have a number of experienced team members who have worked in this region for decades. It's a great group of people to work with. And of course the Metallic Group management team, Greg Johnson, Gregor Hamilton, Bill Harris, myself, all of us veterans are of the industry. The team brings great depth of experience with specialized expertise in PGM and nickel systems. Michael Rowley: It's early days, we have a market cap of about $8 million, and about 44 million shares outstanding. Key point is we have $3 million of both in the money warrants that are callable and that's after bringing in about $800,000 worth of those to date. Michael Rowley: It's pretty tightly held so probably about 20 million shares, and we turn over about one or two million shares per month. In each of these situations with these operating mines next door, there is an opportunity to be able to fast track development on these targets by utilizing the existing infrastructure in their respective districts. 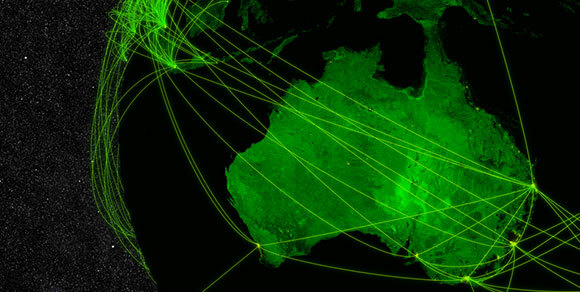 There is also the potential for partnering with those operators or, if we're successful in discovering very large scale deposits, to see interest by other larger companies. It's an exciting group of companies with a common philosophy. Our objective is to build real value for the Metallic Group investors going forward. Michael Rowley: I think that was a very comprehensive overview of Group Ten, and thank you for it. Perhaps in closing, I'd like to touch on a couple of catalysts ahead. On the industry side, we mentioned South Africa and the costs of mining there and the expected closure of a lot of those high-cost platinum mines. It has been a well-established pattern of falling PGM production out of South Africa year-on-year and the CPM Group's work out of New York indicates that a lot of mine closures are expected soon, in 2019 and 2020. This is going to have a huge effect on platinum prices, because 75% of the world's PGMs comes out of those reef deposits in South Africa. It's also worth noting that we have significant nickel, copper and cobalt, which are such important metals for the rapidly growing battery and technology metals space.